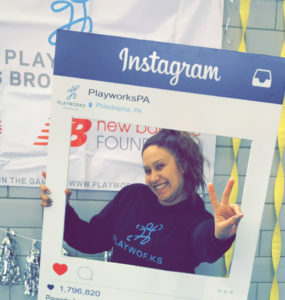 My name is Pamela Martinez and I am the FAO Schwarz Fellow at Playworks in Philadelphia. 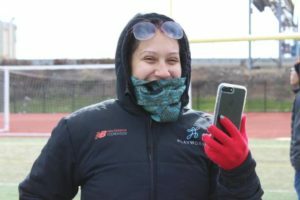 I had experience at Playworks, first as a volunteer then as a direct service AmeriCorps recess coach, but the Fellowship has allowed me to expand my knowledge and grow professionally. In my role as Program and Engagement Coordinator, I’m able to split my time between direct service work and helping to strengthen the development of our organization through special marketing projects. Ten months into this role, I have realized that my service work directly influences my project work and vice versa. As the FAO Schwarz Fellow, half of my role is to add an extra layer of support for our partner schools. I provide a site visit, which is devoted to consulting and supporting, and ensuring goals are being met. I accomplish this by checking in with the school recess teams and sending an overview or follow up email informing our staff on my observations and any areas of potential growth. My integration into this role was smooth, as I was able to immediately build rapport with all twelve schools by accompanying the site coordinators at their principal and recess team meetings, and also by shadowing and observing all twelve programs as they were being ran by our site coordinators. I was encouraged to build relationships and to feel confident when arriving to our school sites alone. Since I am working alongside three veteran coaches whom I have a great rapport built already, I believe we have developed a great form of ongoing communication which has allowed me to support them better and help me transition into a direct service consultant as well. 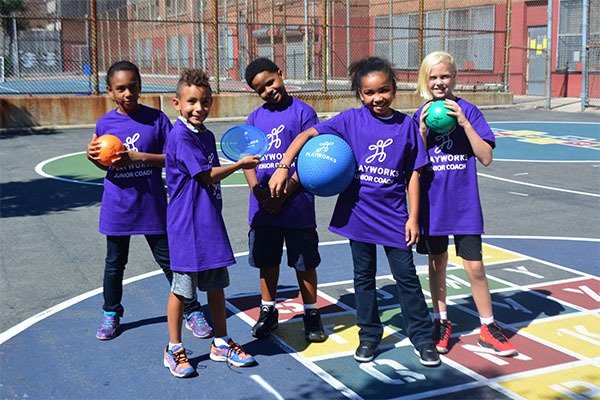 Here in Philadelphia, we have an intensive plan for expanding Playworks in the next three years. 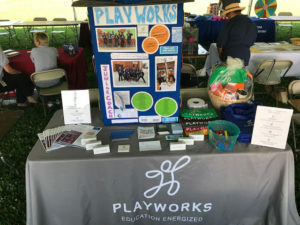 Our goal is to reach more people and inform them of Playworks and the great work that we do. With my special marketing project work, I’ve had the opportunity to learn about branding and marketing strategies and how they could benefit our region specifically. I was encouraged to build a one year marketing plan for our newsletters, emails, social media and school site visits. I led a training to our coaches on our expectations for branding and email sign ups and how this will leverage our pipeline and visibility. Since then, I’ve attended multiple tabling events, created emails varying from monthly newsletters, invitations and thank you letters for our fundraising efforts and I’ve also raised our following on our social media handles with over 200 new follows through posting, sharing, tagging and promoting our fundraising events and campaigns. Being able to build and compose content for our marketing plan, I realized my direct service work has a direct correlation to the collection of content we want to share on our outlets. I’m now intentional with planning and conducting interviews at all of our twenty six partner schools and making sure our staff is always branded in our Playworks gear and the photos I take have a clear purpose. This is fun and exciting because I am able to directly collect the great stories from our partners while on site, but also strategize new ways we can get more exposure and gain more engagement in the city of Philadelphia. Playworks is a very inclusive work environment and I definitely feel apart of the team in this role. As a FAO Schwarz Fellow, my team has empowered me to take ownership of my role and I have been able to learn and grow immensely. My experience thus far has taught me so much in such a short time. I look forward to continuing my service in our community and merging my project work to collect and create great content that will assist us reaching our development goals.